1. Blend the first 6 ingredients until super smooth and creamy. Pour half of the mixture into a glass or jar. 2. Add the rest of the ingredients to the remaining smoothie and blend once again. 3. 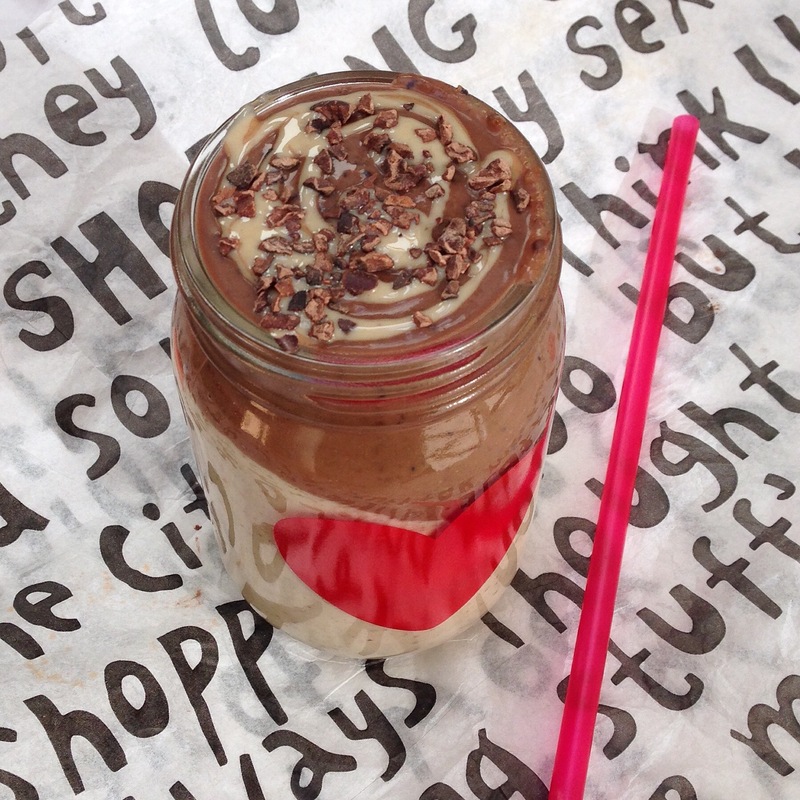 Carefully pour the chocolate smoothie down the side of the glass and top with cacao nibs and extra tahini. Enjoy!